Adam of the Road Literature Guide Teacher's Editionby Memoria Press. 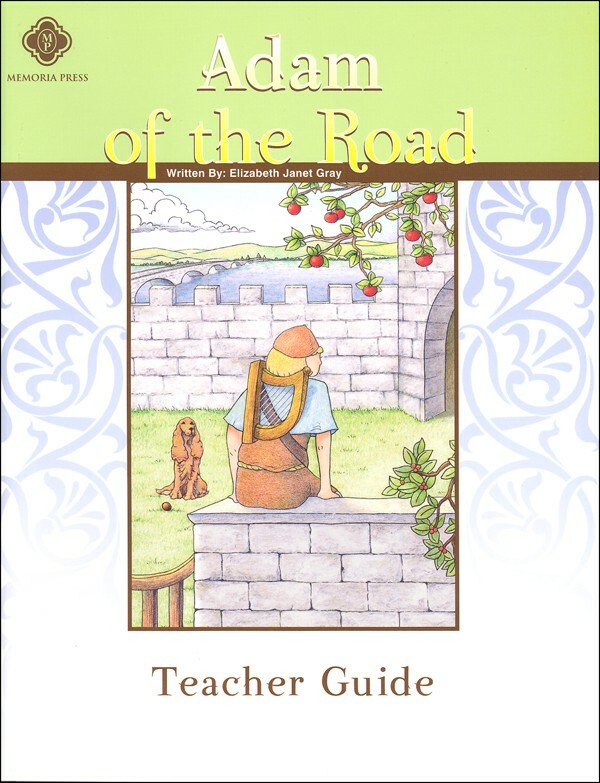 This literature teacher's guide accompanies the book Adam of the Road by Elizabeth Janet Gray, as well as Memoria Press Adam of the Road Literature Guide, 5th Grade (both sold separately). The student book is reproduced with the correct answers inserted; discussion question answers are listed separately. Quizzes feature questions that address quotes, vocabulary, and comprehension. A final exam is also included. The answers for the quizzes and final are overlaid on reproduced forms. 94 pages, paperback. Grade 5.